This book is designed to help existing Web page authors update their skills. We all know that technology can move at a blistering pace, and sometimes it can seem very hard to keep up with the changes. 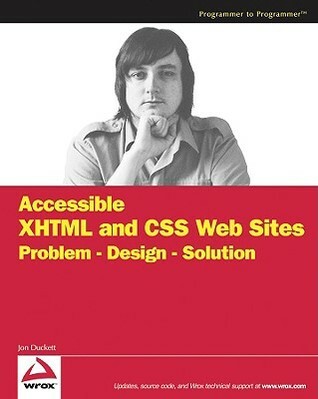 This book will help keep you up to speed by teaching you about three of the hottest issues for Web page authors to learn about: XHTML, CSS, and accessibility. You’ll be glad to know that, because this book is for those of you who already know how to write Web pages in HTML, I won’t be boring you with the basics of how to write a Web page from scratch. Rather, it will enable you to extend the knowledge you already have by presenting examples and information that reflect the way the Web has changed in the past decade. Since the birth of the Web, many new technologies have been released, and almost as many have vanished without a trace. XHTML and CSS, however, have emerged as mature technologies that are likely to be around for many years to come. They were specifically designed to replace HTML, and as you would expect, you will find many advantages in writing Web pages using XHTML and CSS as opposed to writing them in HTML, although they share a lot of similarities, as you will see.